The Old Royal Infirmary was originally opened in September 1824 to serve the residents of Liverpool. It was opened to help with the widespread outbreaks of illness that had been caused by the overpopulation issues at the time as the ill-drained streets and unhygienic conditions became worse. Built in brick with terracotta dressings and a slate roof, and chapel, the infirmary opened the first nurse training school with the assistance of Florence Nightingale. Established in 1862. It was only the second Nightingale training school in the country, built to train both hospital and district nurses. Designed by Alfred Waterhouse, Alfred Waterhouse was a prolific English architect who worked in the second half of the 19th century. 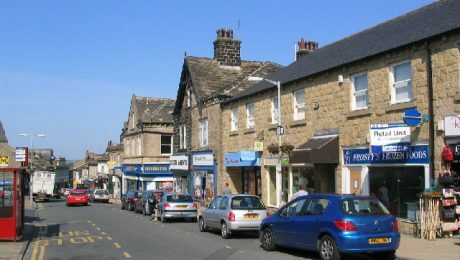 His buildings were largely in Victorian and Gothic Style and mostly educational and civic buildings including Strangways Tower, Knutsford Town Hall, Manchester Public Library and Natural History Museum. Alfred Waterhouse, the Liverpool architect, who was commissioned to design the new Royal Infirmary and is said to have been heavily influenced by Florence Nightingale, making changes to his design based on her feedback including the pavilion (Nightingale) wards, their height and number of beds to ensure sufficient daylight and ventilation. The new Liverpool Royal Infirmary was opened by the Duke of Clarence and the first patients were admitted on 13th November 1889. The infirmary joined the NHS (National Health Service) in 1948 and after all services were transferred to the new Royal Liverpool Hospital, the building officially closed in 1978. The building was then purchased by The University of Liverpool in 1994 and restored after lying derelict for many years. The brief included the refurbishment and further redevelopment of the listed Waterhouse building to provide modern, inspirational working spaces for Liverpool University. 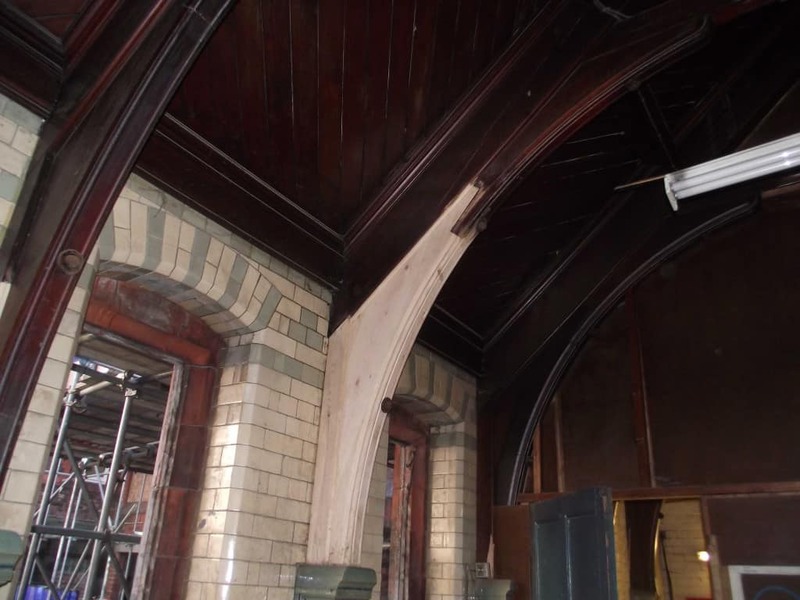 Our team of Liverpool based property care experts were appointed to carry out surveys on the roof timbers of the old infirmary block. 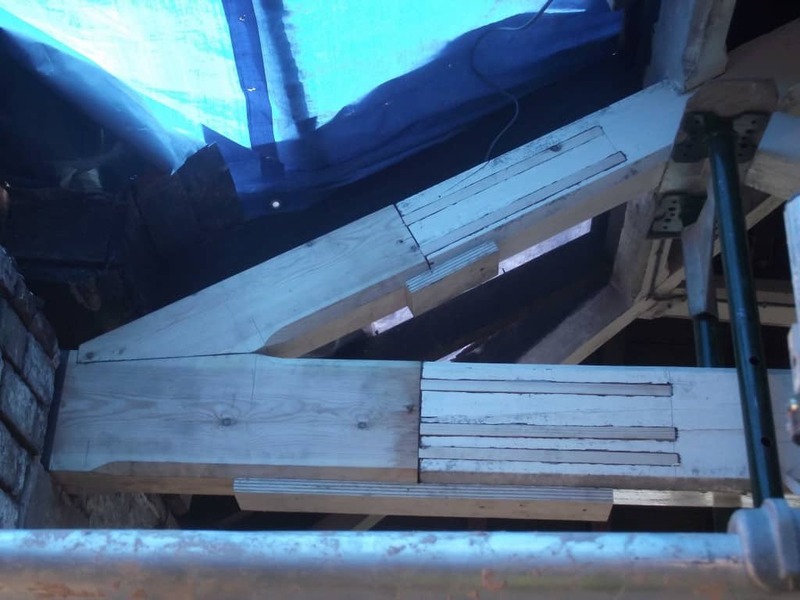 The surveys revealed a severe outbreak of dry rot and wet rot within the timbers of the roof, caused as a result of defective rainwater goods, roof cladding and a lack of general routine maintenance. The lack of maintenance allowed surface water to penetrate the fabric of the building over a period of several years. As the moisture levels built up within the timbers it created the perfect conditions for rot growth to start. 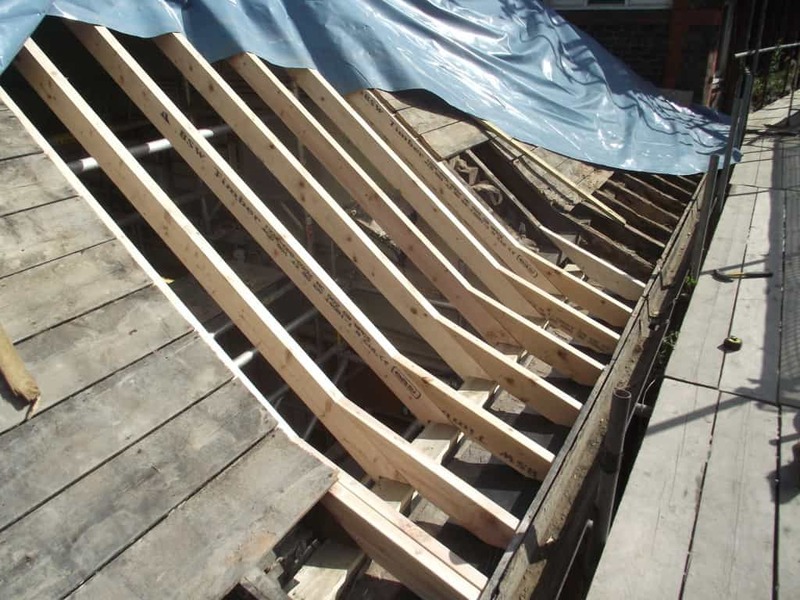 Our experts found several parts within the roof section that needed to be treated, along with several timbers that needed to be replaced due to the extent of the decay within the timber. For each section of the roof that needed attention, remedial works needed to be carried out that complied with the client’s future plans for the building. 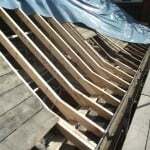 Within the roof, all the timbers that needed replacing were replaced on a like for like basis. The roof rafters and wall plates required custom made manufactured sections of timbers on site, using our timber resin repair system. This is where our technicians insert unseen, reinforcement bars into the timber and then poured a resin mix into the shuttering to match the existing timbers. 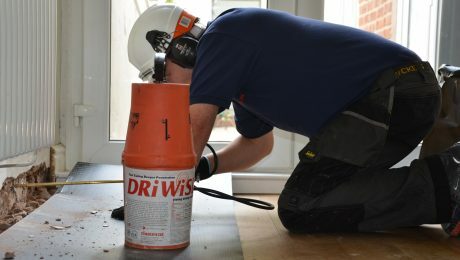 To finish the graining and staining of the resin is carried out to match the existing timbers. Within another section of the roof, dry rot fungus (Serpula Lacrymans) was found on the timbers, affecting the junction of the ceiling and wall to the gable elevation. 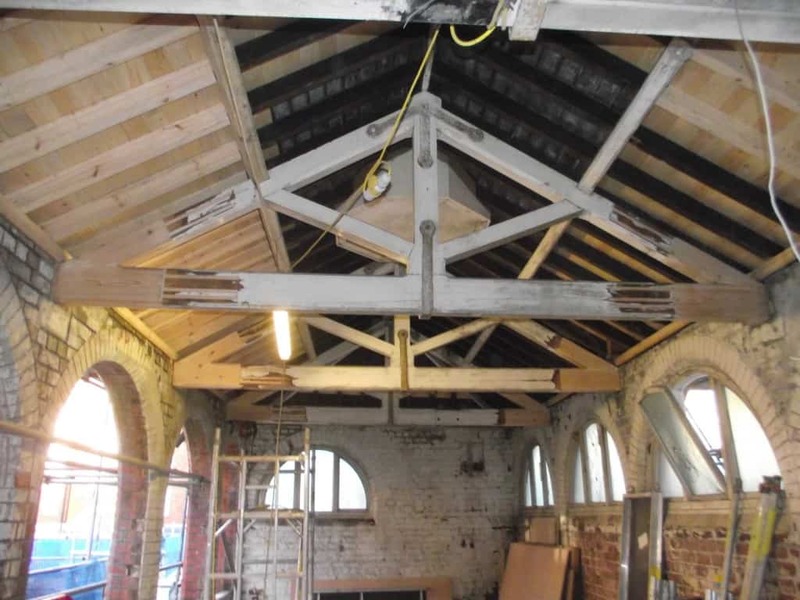 The decay had extended further to affect the lower section of the first truss – again roof timbers were removed as a result and defective wall plate sections were renewed using treated timbers to match existing sections. 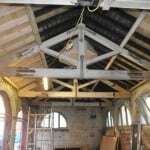 The decayed truss rafters were cut back and replaced to match the existing timbers. All accessible timbers were also treated with a liberal application of fungicide solution to offer protection against further fungal attack. 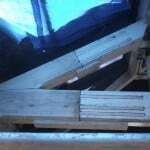 Any defected timbers that had decayed were cut back and replaced with treated timbers to match existing timbers. 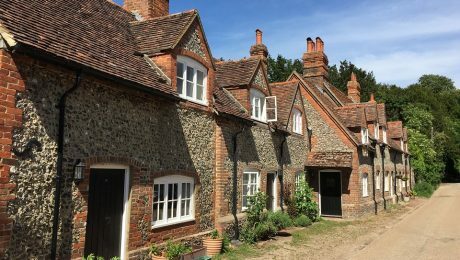 Timberwise was also responsible for working closely with the conservation officer, as a key focus for the team was to ensure that great care was taken to respect the listed structure. 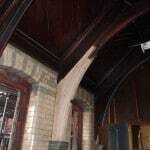 In a further section of the roof, traces of mycelium growth were found, indicating the signs of dry rot decay. During the survey, it was discovered that the rot had spread through to the timber wall plates, roof rafters, close boarding and the matchboarding below the rafters. All accessible timbers were treated with a liberal application of fungicide solution. Any defected timbers that had decayed were cut back and replaced with treated timbers to match existing timbers. The specialist timber treatment work undertaken by Timberwise was also covered with a long term 20-year guarantee, giving the University of Liverpool complete peace of mind. Now known as the Waterhouse building, named after the original architect who designed the building, it is now home to the University of Liverpool’s Department of Health Services Research and their central administrative hub. If you are concerned about the possibility of a dry rot outbreak in your property, do not hesitate to give our team of dry rot specialists a call on 0800 288 8660, or alternatively, you can request a survey. By arranging a dry rot survey through Timberwise will be able to identify the full extent of the problem and determine whether further dry rot treatments are necessary.